RUN (OR WALK) FOR FUN! Being on holiday means relaxing and being lazy, but you can still join the ‘racing’ as it is just so much FUN! 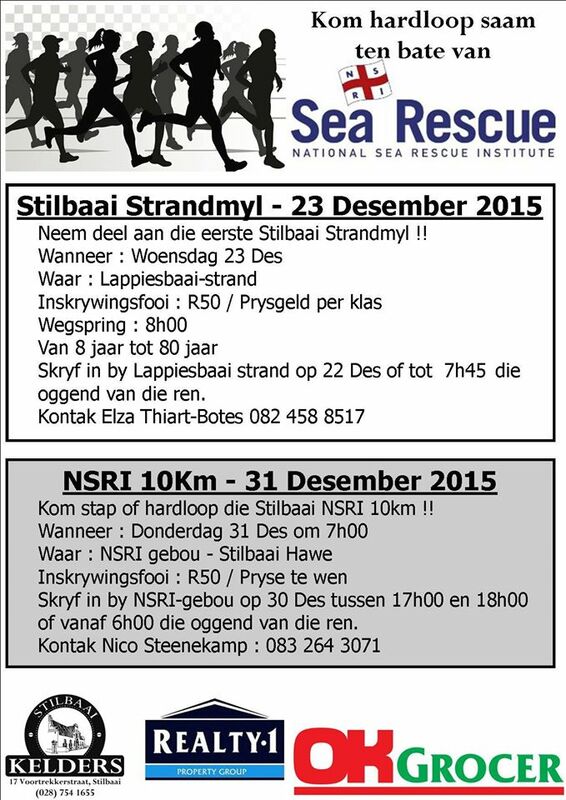 This year, there is not one, but TWO running (yes, you can walk as well) events in Stilbaai with the new ‘Beach Mile’ early on 23 December at Lappiesbaai main beach the newbie on the calendar while the popular NSRI 10km will again take place on 31 December from the harbor. BEACH MILE (23 Dec) – it has to be early while the tide is still low! – Finishers medals for the first 500 competitors! – Enter the day before at Lappiesbaai beach or before 7h45 on race day!